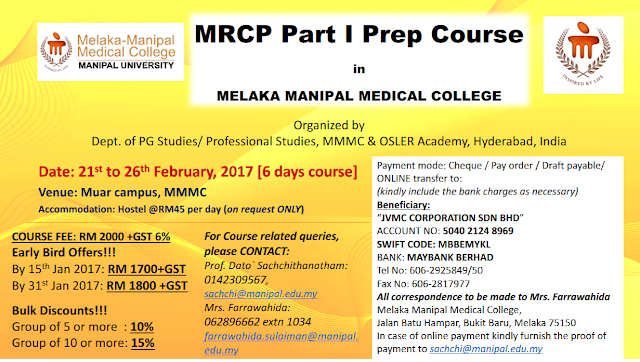 OSLER Academy Is Back Again to Conduct the Part1 MRCP Course. Offer an early bird discount of 300 MYR if one registers by 15 Jan 2017. 200 MYR discount until 31 Jan 2017. Offer a bulk discount of 10% for a group of 5 or more, 15% for a group of 10 or more. 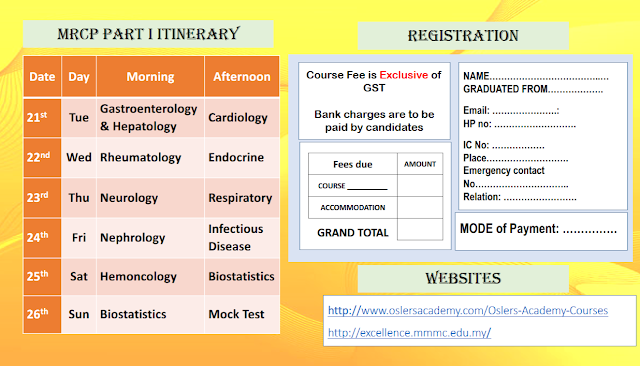 All Doctors Who Have Completed Their MBBS Can Apply.